These veggie enchiladas are a great addition to a party feast. Preheat the oven to 180ºC (160ºC for fan assisted ovens), gas mark 4. Grease a 28 x 18cm (2 litre) baking dish with cooking spray or oil. Heat the oil in a large frying pan over a medium heat and cook the onion for 5-10 minutes, until softened. Add in the cumin and continue to cook for 2 minutes before stirring in the beans. Spoon about 3 tablespoons of the bean mixture in the center of each warm tortilla. Divide the cheese between the tortillas, reserving 1/4 to sprinkle on top. Roll up tightly and place seam side down in the baking dish. 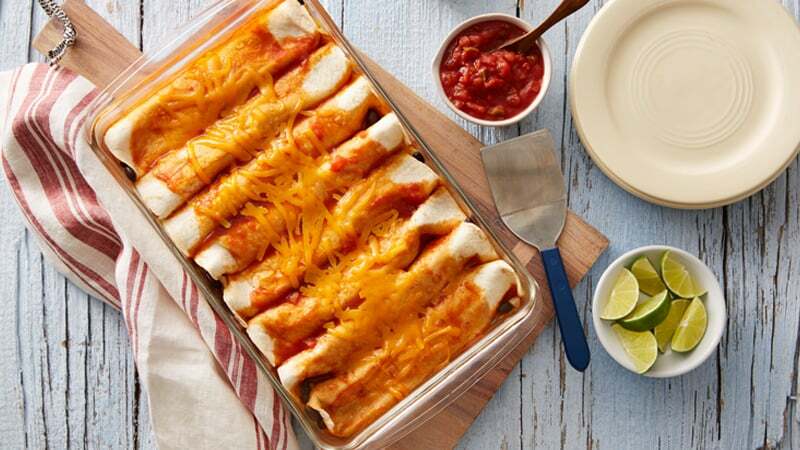 Spoon the enchilada sauce over the tortillas and scatter over the reserved cheese. Grease a large sheet of foil with cooking spray or oil and cover the baking dish, grease side down. Cook in the oven for 15 minutes or until the cheese has fully melted. Remove the foil and cook for a further 5 minutes, until the cheese has begun to turn golden. Make it meaty – add fried chicken strips to your bean mixture. 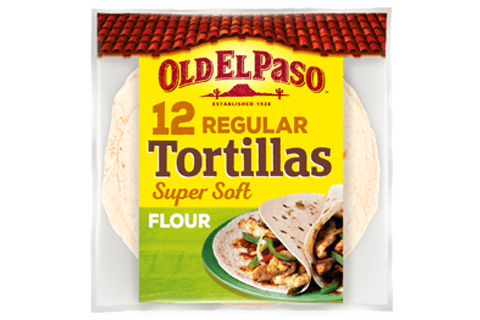 Serve with a salad, Old El Paso™ Thick ‘N’ Chunky Salsa and freshly made guacamole for an extra treat.